"Who loves pizza?" is a question you almost never have to ask an American. 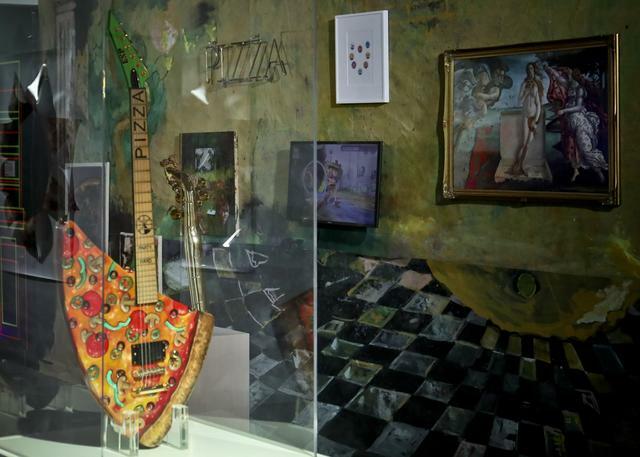 Now, there is a place for all pizza lovers to gather: the newly-opened Museum of Pizza. It can be found in America's pizza capital — New York City. "It's often that the simplest ideas are the best," said Alexandra Serio. She is with Nameless Network. But instead, Raye got some of everything. "So you get a little bit of education and then some fun, which I love," she said. "I thought it was going to be kind of boring," she said. She imagined walking in and finding books on how to make pizza. Icebreaker ‘Krasin’ is a museum that could be visited during the Festival of Modern art held in a traditional museum. I have gained some actual experience in marketing over the last two years. 5.A company called Nameless Network came up with the idea for the museum, known as "MoPi" for short. 6.A company called Nameless Network came up with the idea for the museum, known as "MoPi" for short. My parents often call me Mingming for short. My name is elizabeth, or Liz for short.